The 10-level office tower at 420 St Kilda Road sits at the busy junction of Kings Way and St Kilda Road, in an area home to many blue chip corporates. Our brief was to provide a restful, fully functional end of trip (EOT) facility that would help busy staff refresh and rejuvenate before or after the working day. In total, we installed 90 PS2 lockers in male and female change areas, with integrated wooden bench seats. Locker security was via an Ojmar OCS lock with a custom brushed silver number tag. The locker faces were finished in a Laminex Bay Leaf with a contrasting black ABS edging. Other joinery for the project included ironing stations, towel storage and shoe shelving beneath the bench seating. 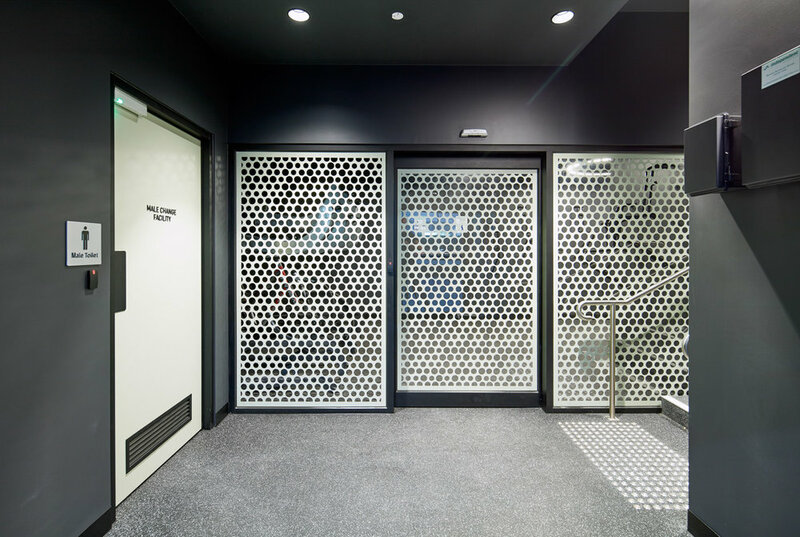 Lockin worked closely with the project builder McCormack on the exact sizing of the locker banks, which was critical, as due to project timings, the lockers had to be constructed prior to the build of the EOT space. 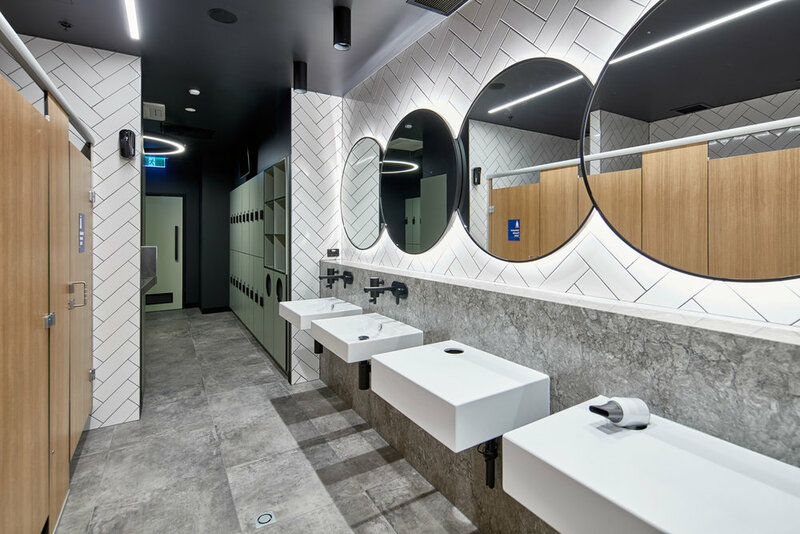 From small locker rooms to multi-level installations, our design and production teams are here to help. Lockers for every occasion, from offices to club rooms and by the pool. We have created over 500 locker spaces Australia wide. See some of our favourite projects here. Need inspiration? Get our latest projects and product news straight to your inbox. Australia wide design, delivery and installation.